It seems this year’s test, held at the seaside course of Shinnecock Hills in eastern Long Island, New York, proved to be a very tough test. The winds blew in off the sound, the greens were made fast and dry, and the locations of the holes on the greens (known as “pin placements”) were set up in a dastardly way, such that even good shots found the rough. Such was the case for Mr. Mickelson, who on the same day he celebrated his 48th birthday, had a tough day at the office. He shot 81, but what caught everyone’s eye was what he did on the 13th hole of that round. While putting his ball from about 12 feet, he hit it too hard and it seemed destined to roll off the green, except that Phil decided to run after the ball and swat it back toward the hole – while it was still moving! In the eyes of golf’s governing body, that’s a big no-no and can lead to disqualification. Instead, golf’s poobahs decided to go easy on Phil assessing him only a two-shot penalty, thus allowing him to compete in the tournament the next day (he finished tied for 48th). More than one sporting voice opined that if this had been another player (one Eldrick “Tiger” Woods comes to mind) the decision might have been quite different. However, in the eyes of golf’s governing body, Mickelson’s error was a one-off, a momentary lapse in judgment. But was it? There are numerous stories of Mickelson’s past troubles with the Securities and Exchange Commission and his penchant for high-stakes gaming, some which are at odds with his good-guy image. Perhaps the USGA didn’t want to further sully the reputation of a popular player, with its marquee event going on. 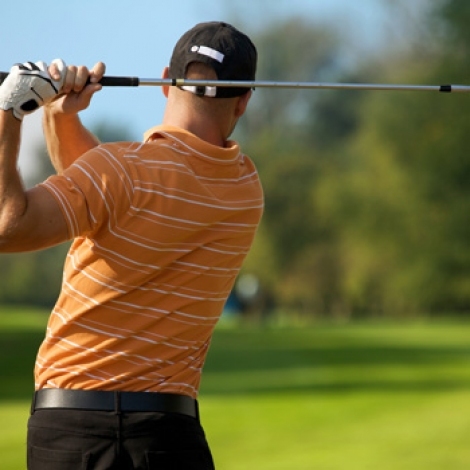 But the rules of golf are clear: If a player attempts to stop the ball while it’s in motion, in an effort to gain a competitive advantage, then that player is subject to disqualification. That didn’t happen. Realize, of course, this was a judgment call made by the sport’s overlords. But don’t think golf is alone in protecting its stars. College football and basketball’s ruling bodies have, for years, been accused of protecting players (and colleges) while ignoring various legal transgressions in an effort to promote their sports. The same is true for Major League baseball and the NFL. Even the NBA dealt with rumors about why exactly Michael Jordan decided, in the prime of his career, to play minor league baseball for two years. So, rail if you will at the injustice of it all, but if this month you watch golf’s Open Championship played in Great Britain, and a certain American left-handed golfer is in contention on Sunday, then maybe you’ll understand the USGA’s actions. The simple fact is stars make ratings and ratings equal money. The golf authorities and the television networks are betting you will forget and just keep watching.